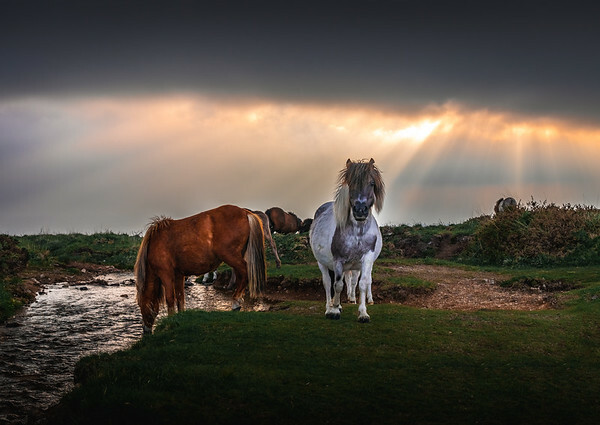 A wee hole opened in the cloud cover to let the rays through just before sunset and created this surreal view just as a group of wild ponies came to this stream for a drink. 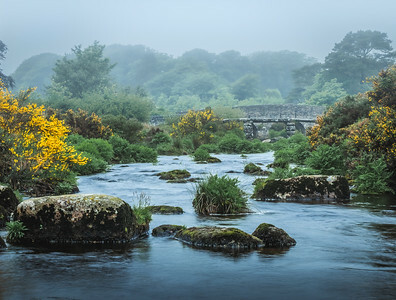 This small stream is actually the drinking water supply for the towns around Dartmoor National Park and apparently for the local wild life. 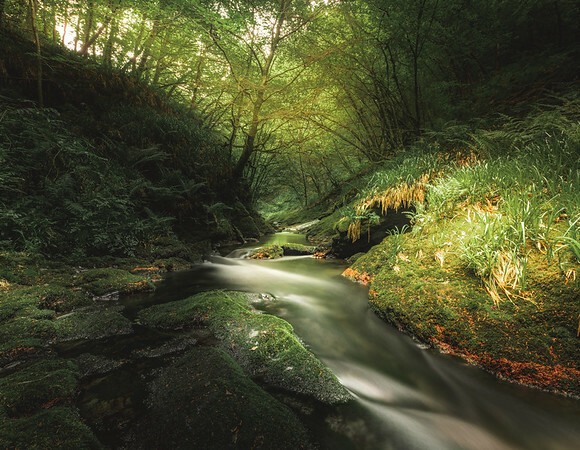 One of the most amazing woodland walks in England, Lydford Gorge is a treat for Nature Lovers and photographers. I love how the light from the evening sun pours through the forest canopy and creates this almost surreal image - a true play of light and shadow. Our first evening in Dartmoor National Park and we decided to trek up to the Windy Post Granite Cross. We were greeted by herds wild horses along the part. The day looked a bit grim as a thick layer of cloud covered the sky, but as we reached the cross, there was this sudden break in the cloud cover and the sun's rays just poured through as God Rays. 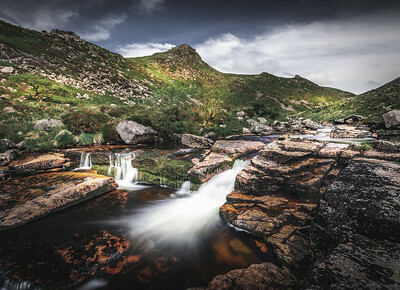 Lydford Gorge is an exceptional place located in Dartmoor National Park. Its like a small rain forest in the middle of England. About an hours's walk in the forest and you reach one of its most famous feature - The white lady waterfall. 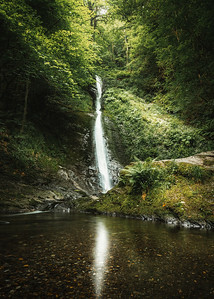 Located on the southern end of Lydford Gorge, seen here shining bright in the evening light pouring through the forest canopy. Another one of the clapper bridge in Postbridge. @eyeseesurs enjoying the foggy mood. Although it was misty and raining I decided to get the Mavic Air up and get a couple of shots as I just had to get this perspective here to capture the scale and fantastic mood at this amazing place. Ancient bridge located next to Fingle Inn. 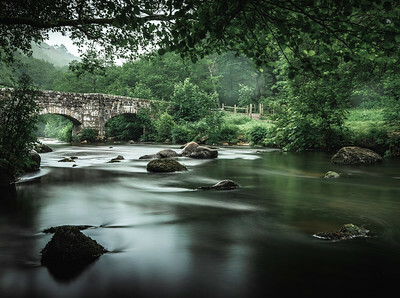 It is a 17th century packhorse bridge which crosses the river Teign. The bridge is built on the historic crossing point between Prestonbury Castle and Cranbrook Castle. This was shot on the trail which starts right next to the bridge and goes along the river all the way to Cranbrook Castle. We decided to look for these falls after seeing a picture of it somewhere on the internet. We started on a trail which was supposed to lead here which disappeared after the first 20 minutes and we ended up in an open grass land with nothing but horses and sheep to keep us company. We trekked through knee high grass, climbed numerous boulders and at one point even got stuck in a marsh. After about 2 hours of trekking, we were almost about to give up and head back, when we decided to use the drone to look for the waterfall and luckily spotted it. Took us another 15 minutes but we finally got there and had the whole place to ourselves. Well worth it! Yellow and green are the dominant colours in Dartmoor in spring. 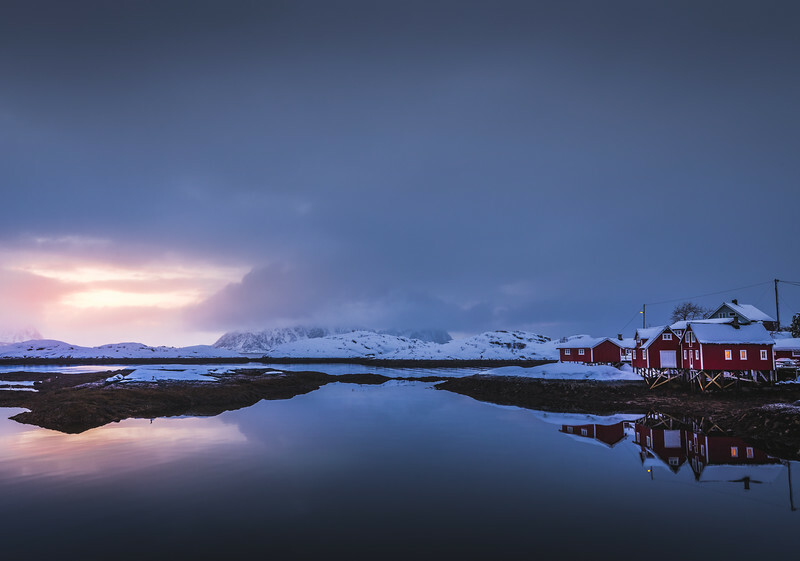 Combined with the ever-prevalent fog and mist, they create an almost surreal and moody atmosphere. This bridge is the Modern-ish replacement of the old 12th century clapper bridge and crosses East Dart, a tributary of River Dart. We started our climb up the Great Staple Tor at sunset. It was so windy at the top that flying the drone was out of the question. 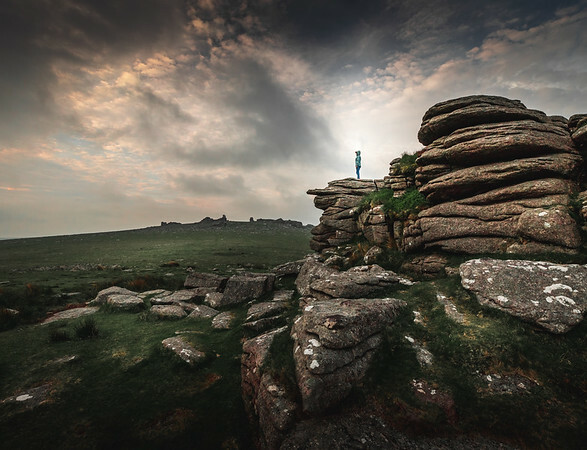 @eyeseesurs braved the gale force winds to climb this tor and pose for this shot. One the topic, Tors are landforms created by the erosion and weathering of rock. A lot of them look like old man-made fortifications. Many hypotheses have been proposed to explain their origin, and it remains a topic of discussion among geologists. These tors are around 280 million years old. Dartmoor is full of such hidden gems. 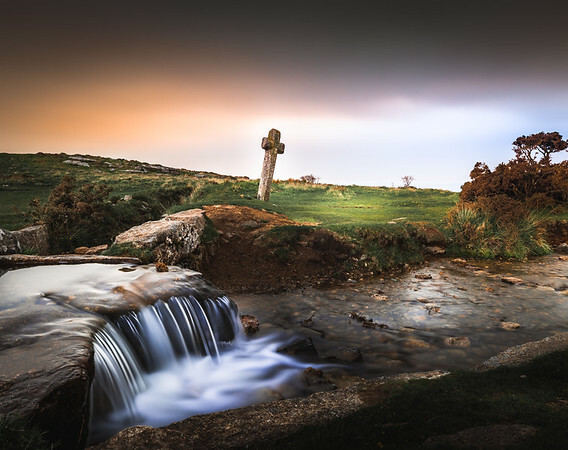 A 20 minutes trek on an unmarked trail and we came across this large Granite Cross next to a leat. A long exposure shot while the setting sun peaked through a dense cloud cover and cast a warm orange glow on the scene. Believe it or not, it was raining 10 minutes before and after this shot. Talk about perfect place, perfect time. 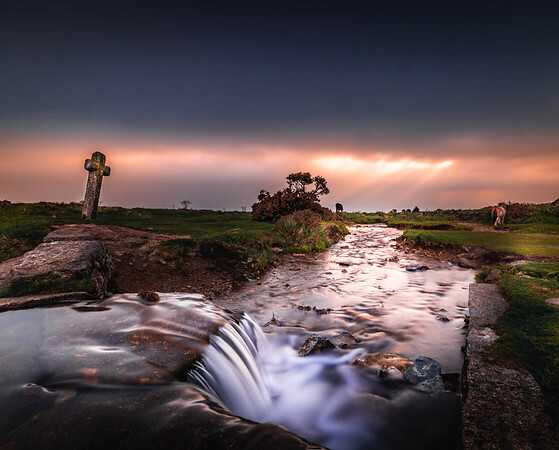 Brentor is a village in Devon, England dominated by the hill of Brent Tor, topped by the village's church. 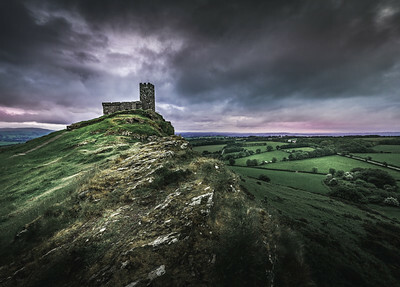 Origins of the name Brentor are old Devonian, a Brythonic Celtic language. The church dates back to the 12th century and legend says that an early medieval merchant paid for the church to be completed after nearly being shipwrecked. 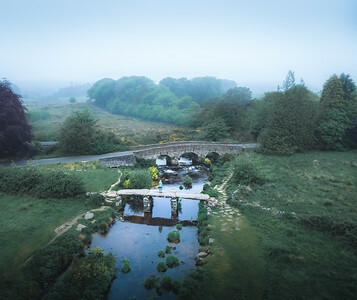 One of the most popular destinations in Dartmoor, the medieval clapper bridge on a foggy afternoon. First written record of the clapper bridge from 1655, but the bridge was built in the medieval period, around the 12th century. 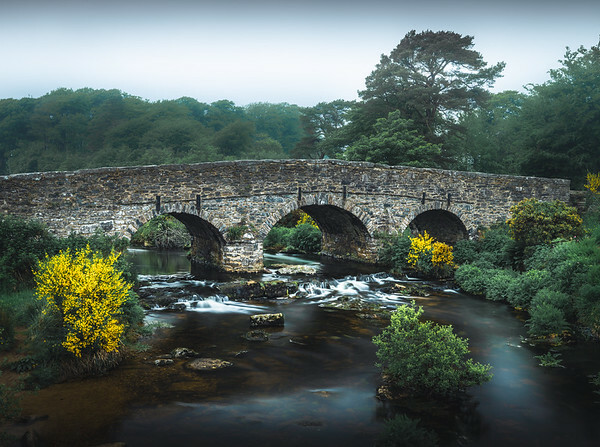 The bridge crosses East Dart, a tributary of River Dart, and was used by packhorses to carry tin to Tavistock. The bridge still stands and is remarkably sturdy despited being so old. 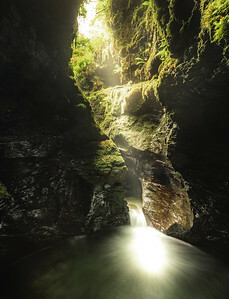 Lydford Gorge is full of amazing sight's, but one of the best has to be The Devil's Cauldron. Located at the end of the long trail through the gorge and only accessible via dodgy slippery steps, it is a must see. One look at it and you can easily guess why it's called so. We reached there late in the evening and the sun was shining through the hole in the cliff creating very high contrast. A 3 shot HDR to get all those lovely details in the rocks without blowing out the sky. 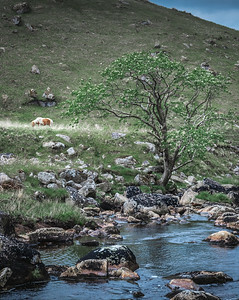 A wild horse grazing next to Tavy Cleave, which is a steep valley carved by river Tavy and surrounded by hills on either side. One of the most inaccessible areas in Dartmoor, difficult to reach but extremely rewarding as you get to experience true untouched nature. The other side (lake side) of Meldon Reservoir. The day turned super moody as we were heading back to the parking so I decided to grab one last shot. Love how the purple flowers add just a dash of colour to the moody and grey scene. 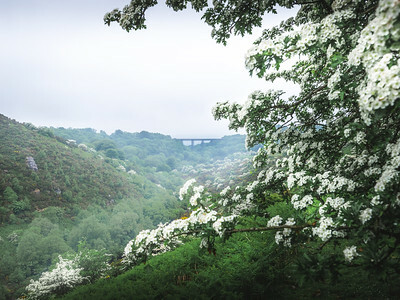 One of the best spring forest destinations, Dartmoor is home to numerous forest trails, valleys and mountains. If you are the sorts to enjoy moody and misty hikes, this is the place to be. We crossed the reservoir barrage and climbed the small hill on the other side to experience this view. The place was filled with trees laden with spring flowers and while the mist covered the river valley below. 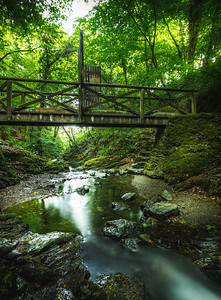 A walking bridge along the woodland walk in Lydford Gorge. Its as if a piece of the Amazon rain forest was transported to England to create this wonder of nature. A trail takes you through the entire gorge along the river Dart and takes about 2 hours to complete at a comfortable pace. All along the trail you witness such serene and enchanted views. 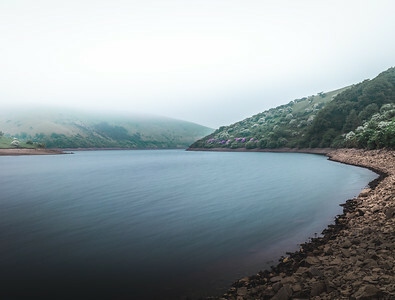 Misty valley at the Meldon Reservior covered with spring wild flowers. 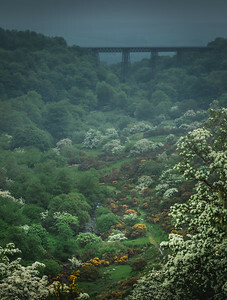 You can see the Meldon viaduct in the background which carried the London and South Western Railway (LSWR) across the West Okement River. The dual-tracked bridge opened to rail traffic in 1874 and operated until 1968. Its now part of a cycling track. Can you spot the river cutting through the valley?